Today here at Big Springs we’re feeling the effects of Fall - it’s pretty chilly and we’re looking forward to having some hot soup! 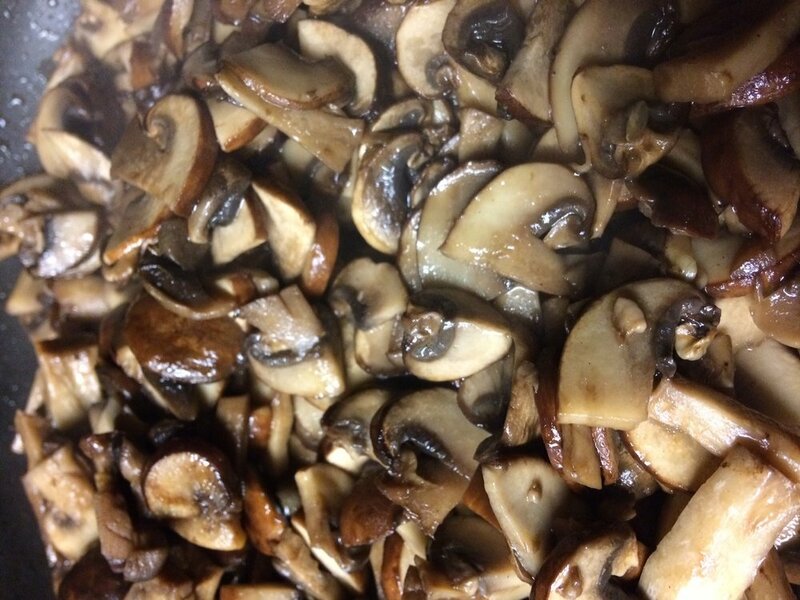 Jenn is whipping up a batch of of some yummy mushroom onion soup, and we’d like you to try some too! To begin, you’ll need to chop your onions - you can do them as fine as you want to, but we kept our pieces about the size of a thumb. Next, we minced our fresh garlic from the witch garden. After washing our mushrooms, we cut them in half and chopped them into small, bite size pieces. Next step is sauteing - saute it good. You’re gonna want to saute your veggies and garlic together with the olive oil until you’ve reached the state of saute that you desire. Lightly salt your veggies after they’re done cooking to avoid pulling the water from the mushrooms, which can cause them to be tough and rubbery. Once you’ve sauteed your veggies, dump them in a stock pot. Preferably a large stock pot, but you’re your own person so use whatever size you want to. In the interest of doing less dishes, you’re gonna reuse the saute pan to make a rue. Melt your butter in the skillet, then dump your flour in. You’re going to want to stir the rue constantly as it cooks at a medium to high temp. We cooked ours until it was well browned. Dump both your can of beer and the beef broth into the stock pot with your veggies. Add thyme and bay leaves, then allow your soup to simmer on low for about 15 minutes. You can garnish it with provolone cheese and croutons, or just eat it as is! We hope you enjoy this mushroom onion soup as much as we do!